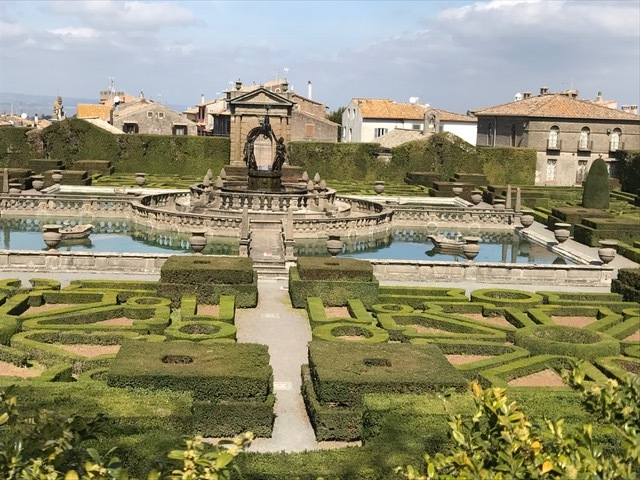 Five euro can buy you many different things, but few can offer you better value for money than a visit to the gardens at Villa Lante in Bagnaia or Palazzo Farnese in Caprarola. The gardens are part of a larger park (which also has some very fine fountains and features including the Pegasus fountain). This is open from 8:30 am to 7:30 pm and you can wander round for no charge. The opening hours of the gardens themselves are more restricted (see the end of the article), as I found out to my cost on my first visit. I took care to get there earlier the second time and was rewarded with a wonderful, jaw-dropping experience made all the more special by practically having the gardens to myself (on a weekday in March). There is no car park to speak of, but you should find somewhere in the surrounding streets or follow the one-way system up the hill out of Bagnaia to find a spot. 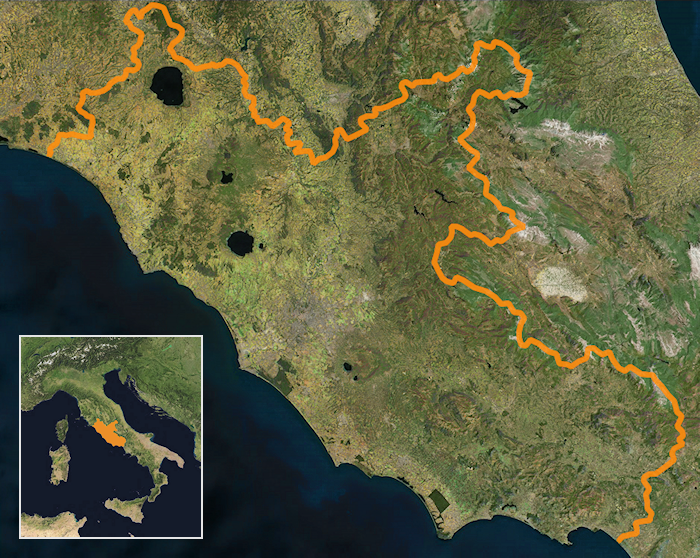 Unlike most of the places on this site, Bagnaia actually has a railway station, so you could come by public transport from Rome. The gardens are a triumph of box hedging, calm water expanses, fountains and rustic grottos. 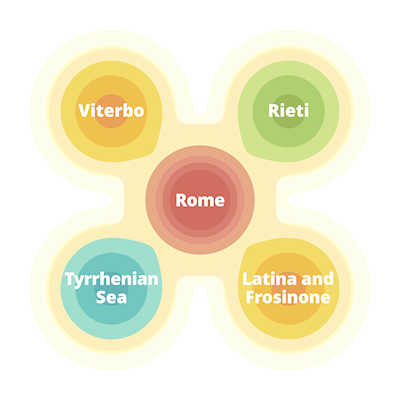 All is in the Mannerist style familiar from Bomarzo and Palazzo Farnese. 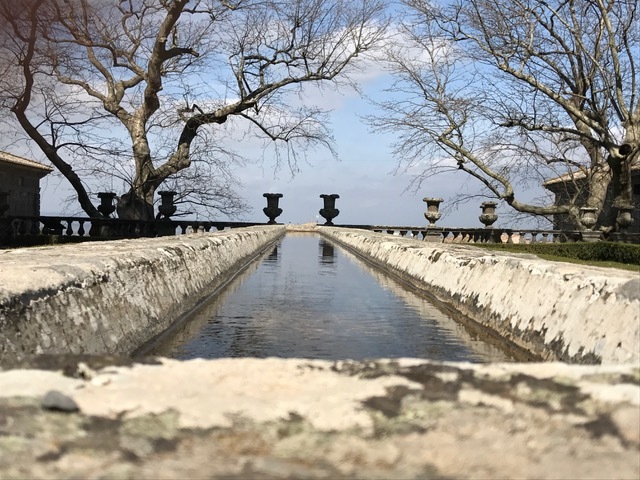 The gardens were commissioned by Cardinal Gianfrancesco Gambara and their design is attributed to Jacopo Barozzi da Vignola. Work is thought to have commenced on them in 1566. 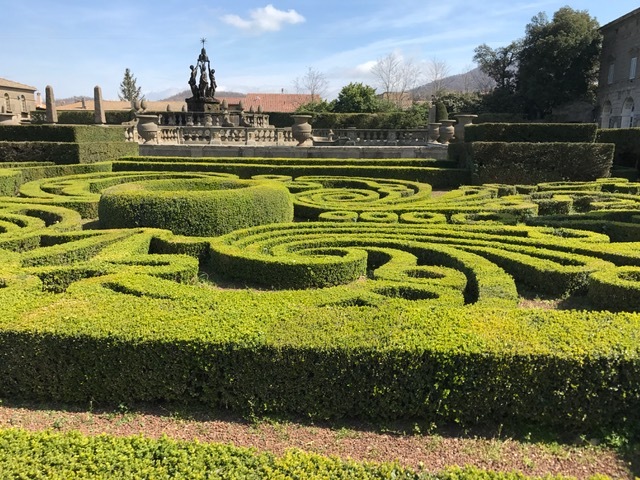 On entering, you take an entrancing walk around a pattern of box hedges featuring geometric designs and whorls with a fountain in the middle. 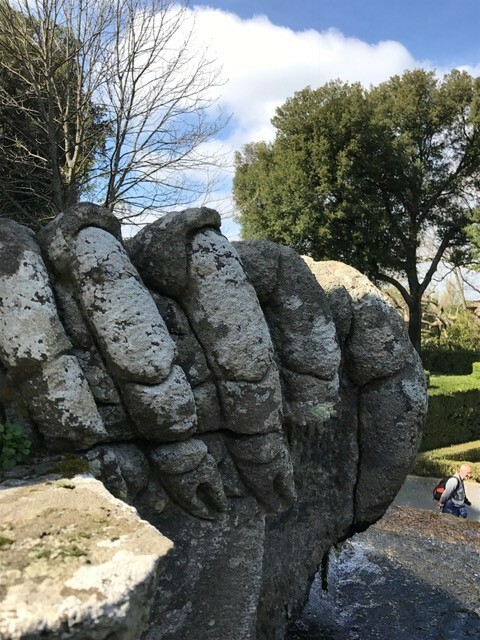 On a stairway to the higher level with its panoramic view over the lower gardens, Bagnaia and the surrounding countryside, you pass a statue with a grotesquely enlarged crayfish claw. This quintessentially Mannerist feature is undoubtedly a reference to Cardinal Gambara’s name (gambero means crayfish in Italian). 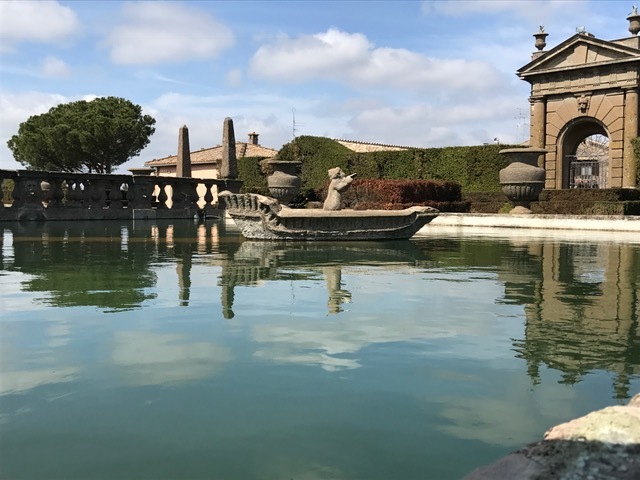 On the upper level, you can also see a catena d’aqua (literally chain of water) of the type familiar from the Gardens of Tivoli at Villa d’Este. Two houses stand side-by-side on the lower level. These are normally closed (except for certain restricted opening times) but you can enter two outer rooms of one house and see some fairly well preserved painted garden designs in an outer room. 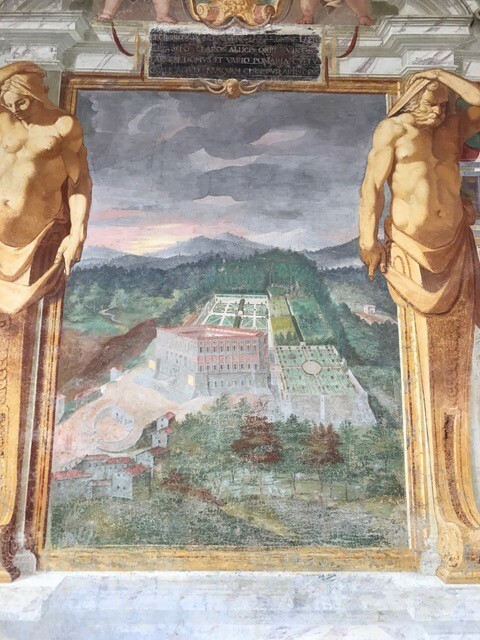 The most striking thing about these for me was the crudity and lack of perpective of the paintings compared to the depth and sophistication of the gardens themselves. Opening hours: November 1 – February 28 .: 8.30 to 16.30; March 1 – April 15 .: 8.30- 17.30; April 16th – September 15 .: 8.30 to 19.30; September 16th – October 31 .: 8.30 to 17.30. Closed on Monday, May 1, December 25, January 1. Admission € 5; free for people aged under 18 and over 65 years; from 18 to 25 years: 2.5 EUR.